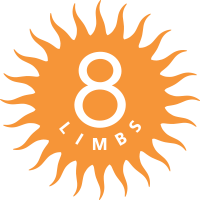 8 Limbs is pleased to publish monthly (well, we took a few months off, sorry!) Teacher Profiles to help you to know and learn from the amazing group of 8 Limbs Yoga Teachers. 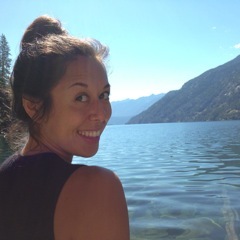 This month we profile Lauren Kite, who teaches at 8 Limbs Capitol Hill and Phinney Ridge. Lauren joined 8 Limbs as a work-study in 2006 (that’s 8 years ago!) and we hope she never leaves! After doing work-study for a while Lauren was hired as a Yoga Advisor, then Capitol Hill Manager and is now in charge of all our studio managers as Operations Manager. She rocks. Hobbies/interests: Traveling!! Museums/libraries, architecture, climbing trees, being outdoors. Favorite yoga practice/pose and why: Currently, I’m incredibly focused on strengthening my outer hip stabilizers, so I’m loving modified crescent lunges, Vira II, and Uttitha Swastikasana. Currently inspired by: I’m currently inspired by all my brave friends and family that have uprooted and moved to new places to embrace the next chapter of their lives! Anything you want to share with our community? Look around!! We are Mighty, Strong, and Radiant – our community is one where every individual light shines the brighter for being in company with all the effulgent luminaries around!